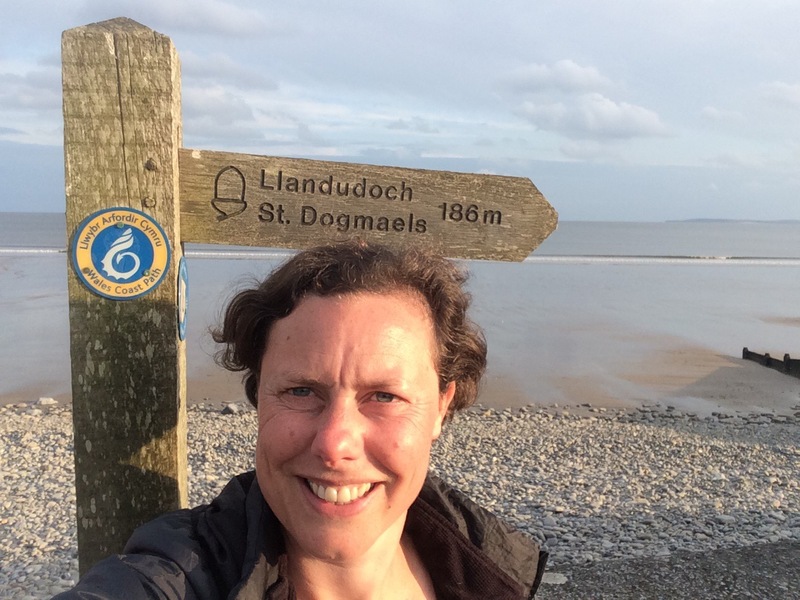 Day 256 From Pembrokeshire to Carmarthenshire – the Need for Speed! It rained on and off during the night, which hadn’t been forecasted. I packed my tent away wet and got going just after 9 am. The path wound up and down through lots of woodland on the way to Saundersfoot. I enjoyed the song of all the small birds. 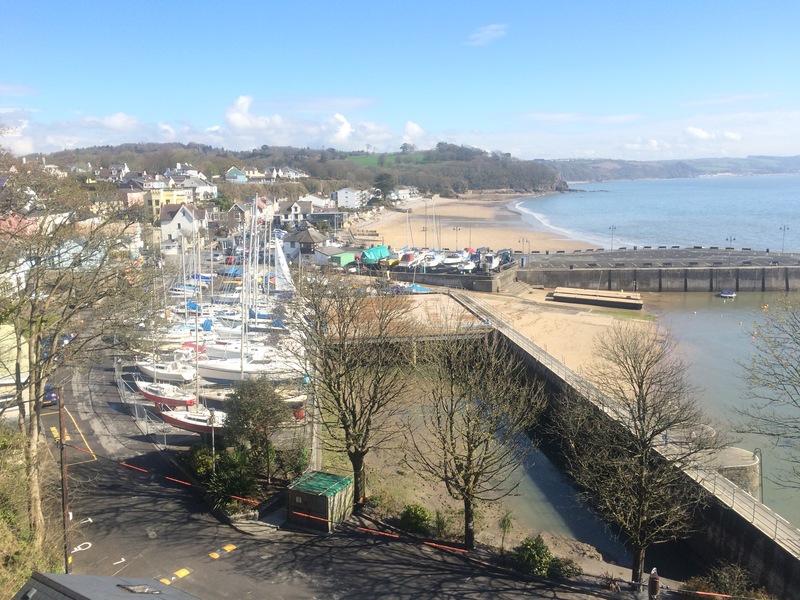 I passed Monkstone Point and knew I’d arrived in Saundersfoot as I found myself navigating around some large houses. Considering how posh the houses were I was surprised that the town did not seem more upmarket. It does have a nice sandy beach though. I stopped at a greasy spoon cafe for a coffee and a bacon and egg baguette. It was just what I needed. The path to Wiseman’s Bridge mostly follows a disused rail line and goes through 3 tunnels. It must have been a nice train ride. these tunnels seem quite small for a train! 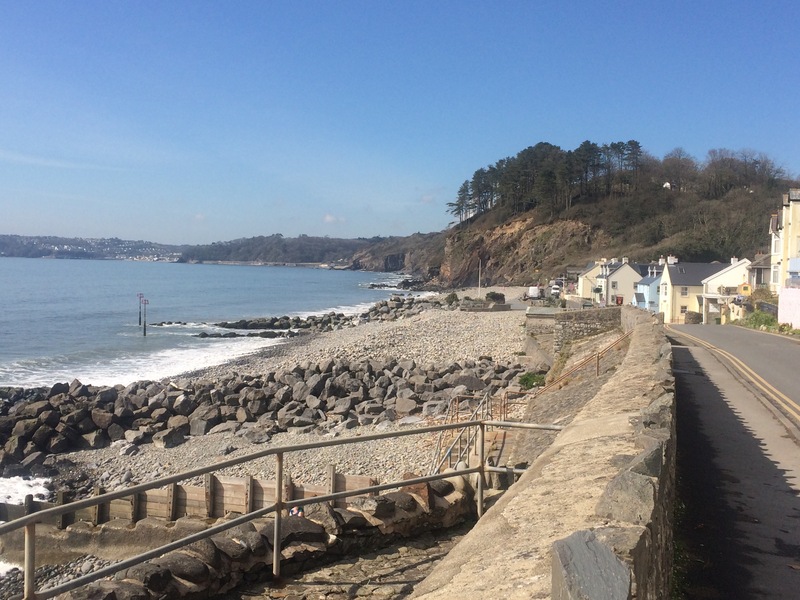 Amroth marked the end of the Pembrokeshire Coast Path, only 186 miles to St Dogmaels! 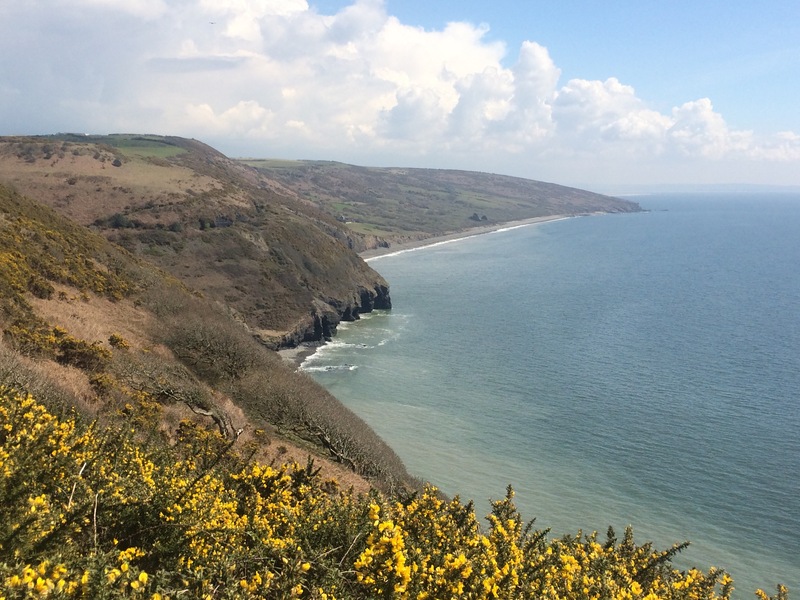 Although not even 5 miles to Pendine it was very hilly. 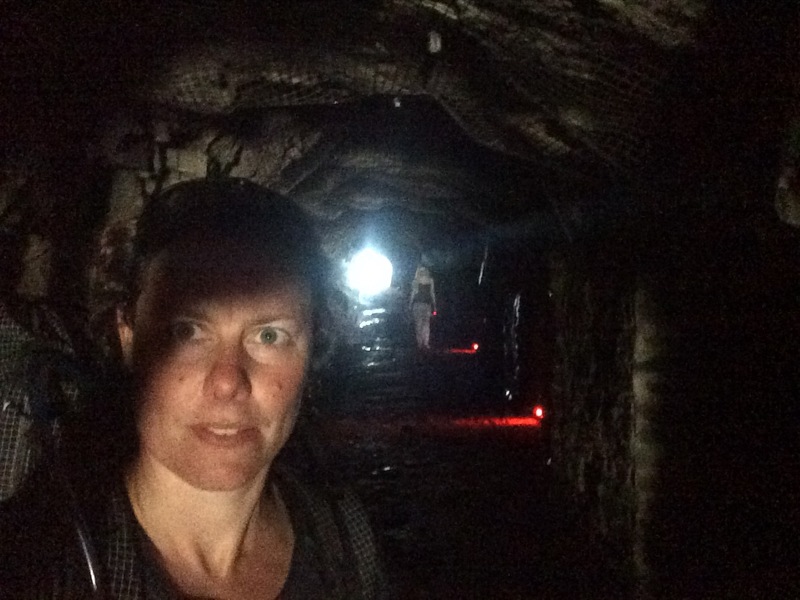 I met some people who told me it was classified a grade A walk (I’ve no idea what that means but I assume ‘hard’). It took me 2 very sweaty hours to get there. up and down those cliffs! 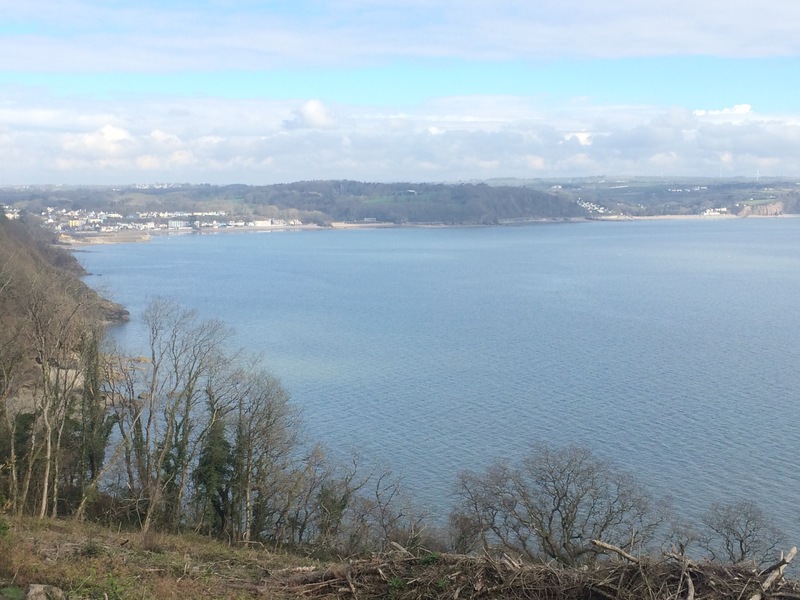 The sun was hot today and I had a beautiful, but slightly hazy, view right across Carmarthen Bay and back to Tenby. 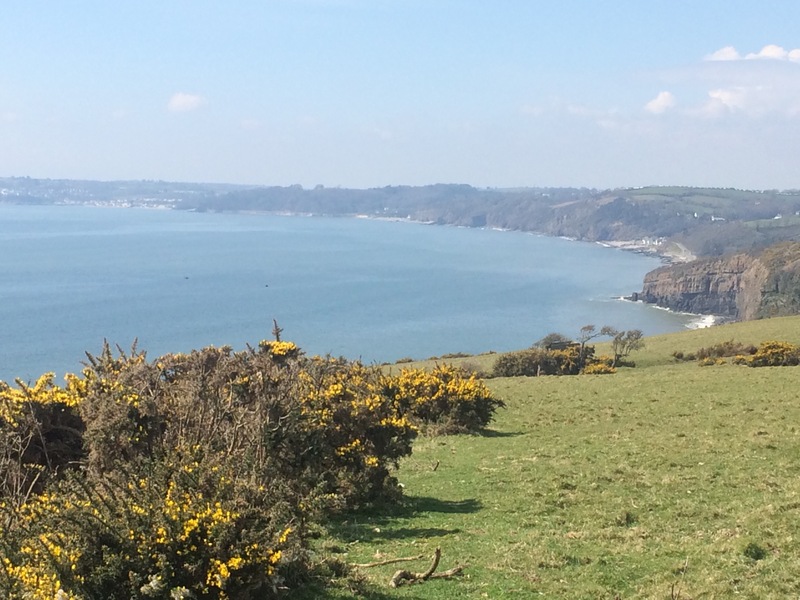 It was a lovely, if tiring, walk through lots of gorse. 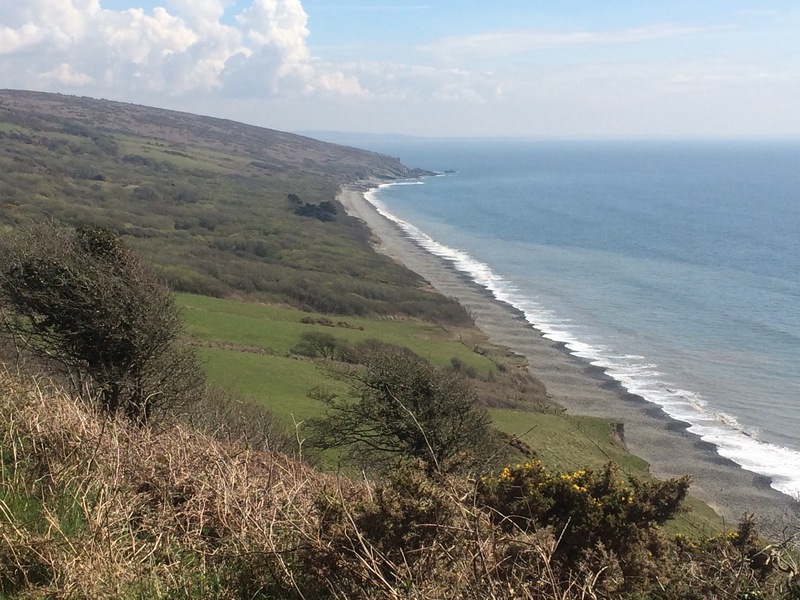 I saw 5 buzzards gliding over the cliffs, fulmars, pipits, and a kestrel. 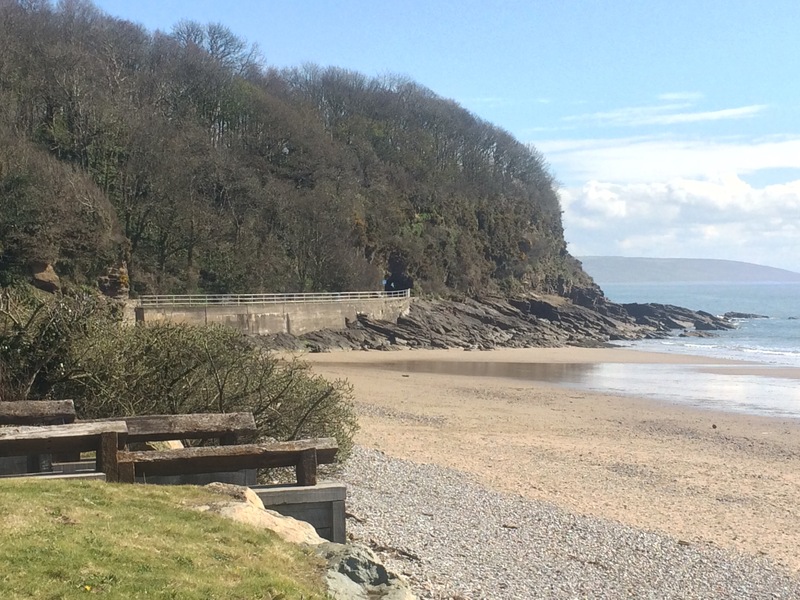 I zigzagged across the cliff above Marros Sands and eventually dropped down into the small cove of Morfa Bychan, which had lots of ugly, damaged concrete blocks just behind the shingle beach. I later found out this was where the D-Day landings were practised. 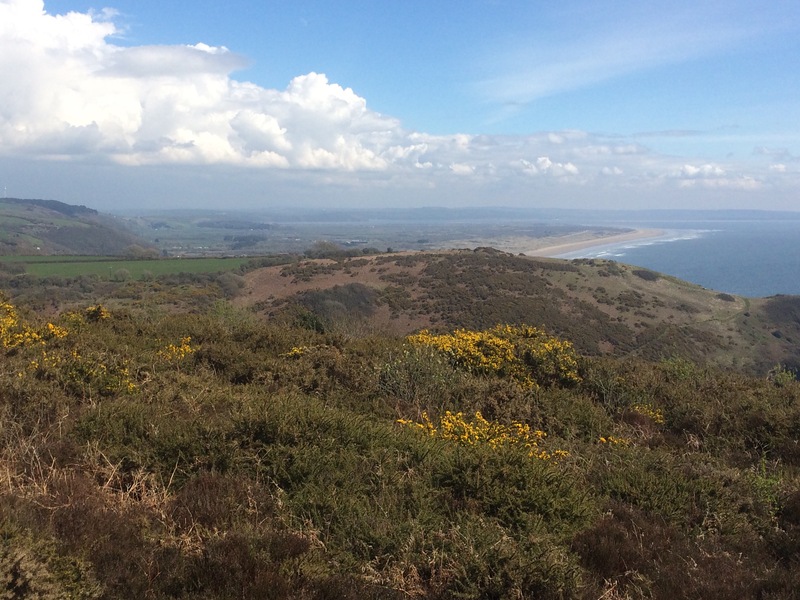 Another big climb and Pendine Sands came into view. It looked stunning, providing the edge to a plain that was created at the end of the Ice Age. 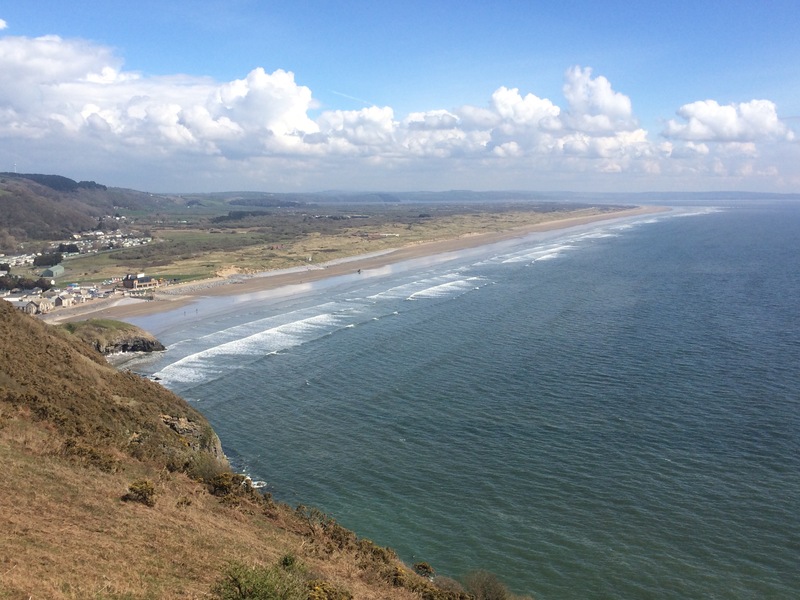 I descended into Pendine and immediately had an ice cream as I thought I’d deserved one. I walked along the beach to speak to the man in the tractor that was parked on the sand as part of a barrier preventing the public walking further along the beach (apparently many ignore the signs and flags). He explained that the Royal- and French- Marines were ‘playing’ here all week so public access would only be after 4 pm every day. I wasn’t too upset as buses back to Amroth from Laugharne don’t exist so it solved my problem not to walk that far. 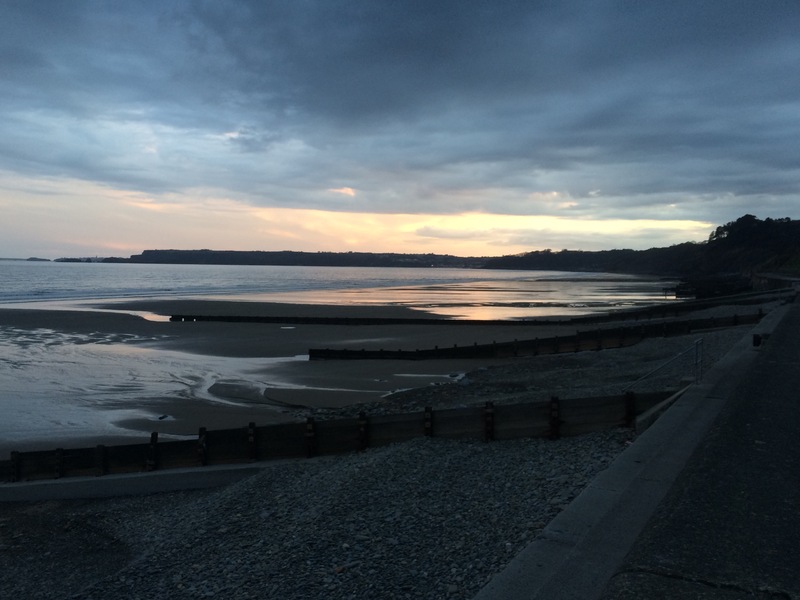 Anyway, I’ve been to Pendine Sands before; I’ve landed on the beach in a C-130 Hercules, stood on the sand while an engine-running refuel was undertaken, and then taken off again. That was fun! After chatting to the nice ex-army, QinetiQ employee I walked off the beach and visited the Museum of Speed. It was free and had a couple of very old motorcycles in it. 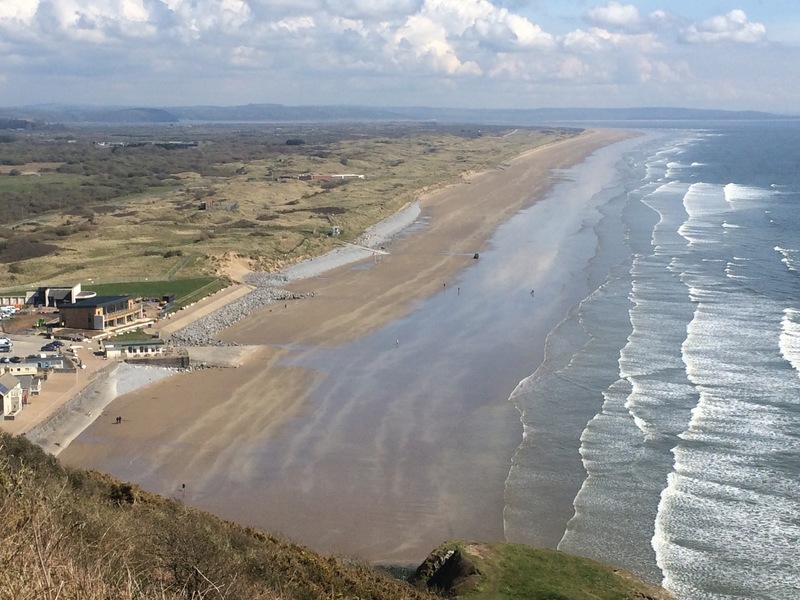 Pendine’s beach has long been used for motorcycle racing and was also where J G Parry Thomas and Malcolm Campbell traded World Land Speed Records 1924-27. 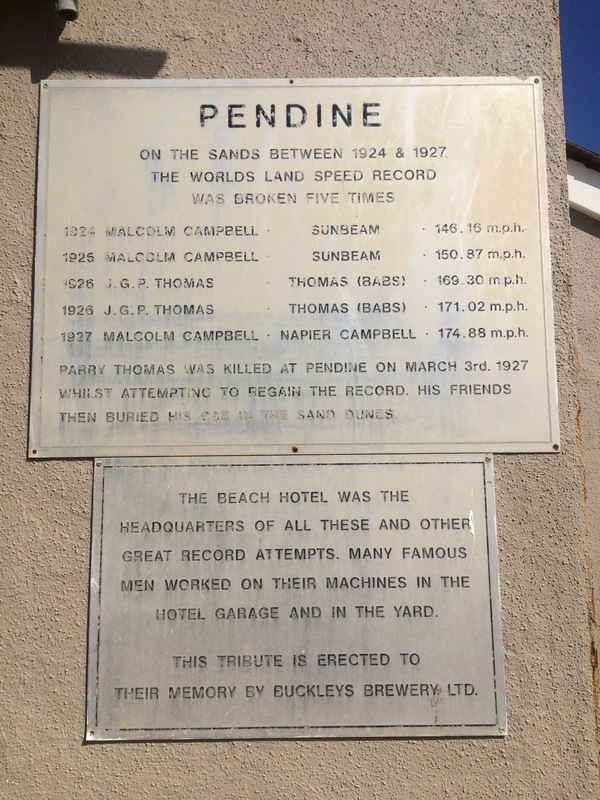 Parry Thomas lost his life here driving Babs and Campbell still holds the British Land Speed Record, set in Bluebird on this beach, both occurred in 1927. 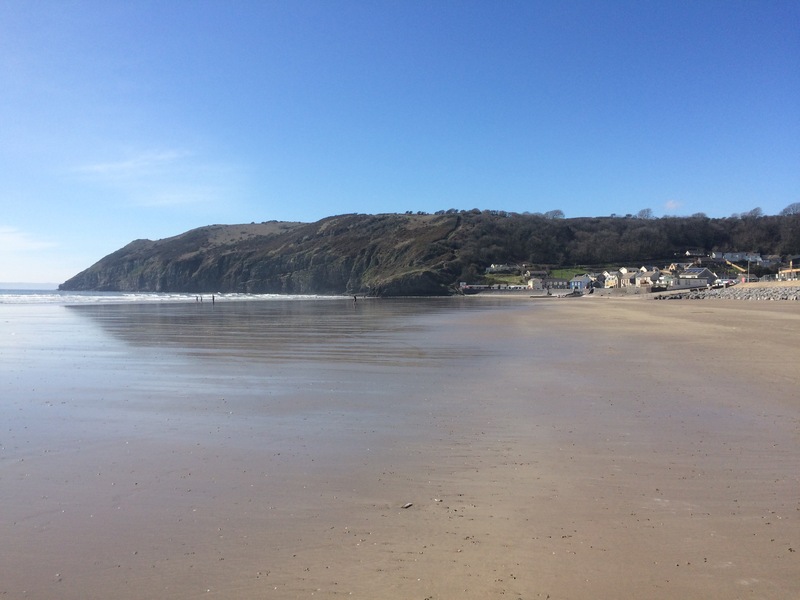 Pendine beach was also the take off point for Amy Johnson and her husband, Jim Mollison, when they became the first married couple to fly across the Atlantic in 1933. This beach really has seen some speed, although it seems to operate at a more sedate pace now and has a holiday village right behind it. (They do still have races in the winter.) 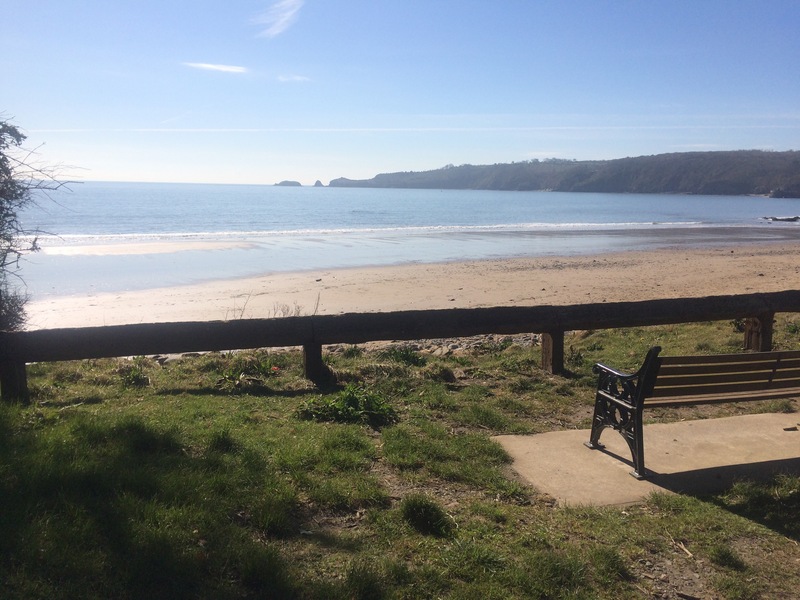 I sat in one of the many cafes and enjoyed a cream tea while I waited for my bus back to Amroth. 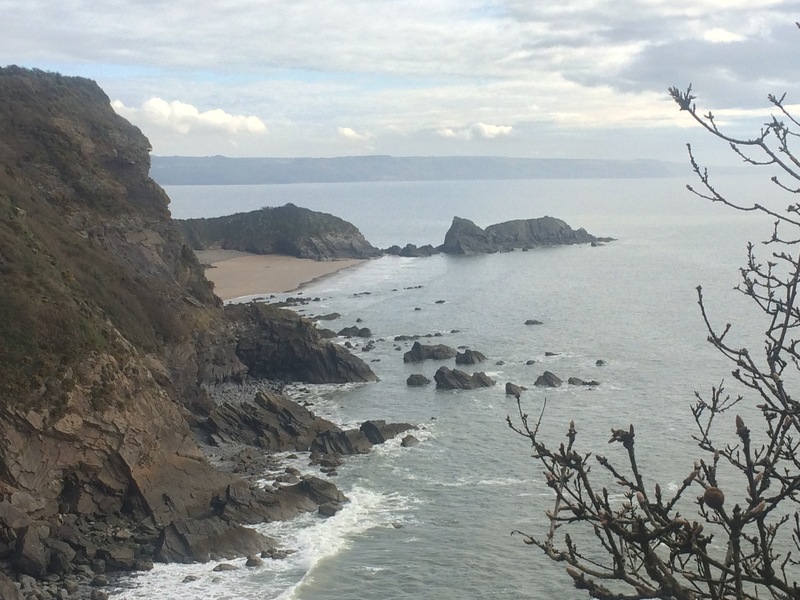 Hi Z. I am taking the weekend off so hope to catch up and let you know about the Gower. All good with me, hope you are well? I liked the stained glass of the church you visited, and today’s visit seemed like fun too. Lots of museums on your trip – i will have to ask for recommendations when I retire! If you can still remember any by then! Beautiful beaches and beautiful weather well done Juice. So much history to soak in….wow, You get a whole new perception doing things on foot rather than from the tail of a Herc. Beautiful. Long may the good weather continue.